ASCO-DAQ2 is an easy to operate and versatile, single-channel Acoustic Emission (AE) system well suited for many applications such as process monitoring measuring burst and / or continuous AE. 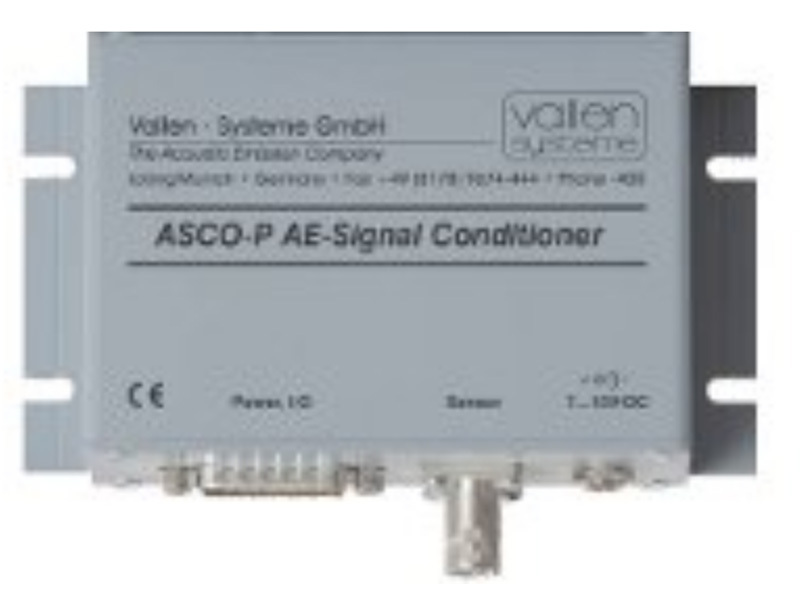 ASCO-DAQ2 is a data acquisition module in a rugged box which houses the well proven Vallen AE Signal Conditioner (ASCO-P). 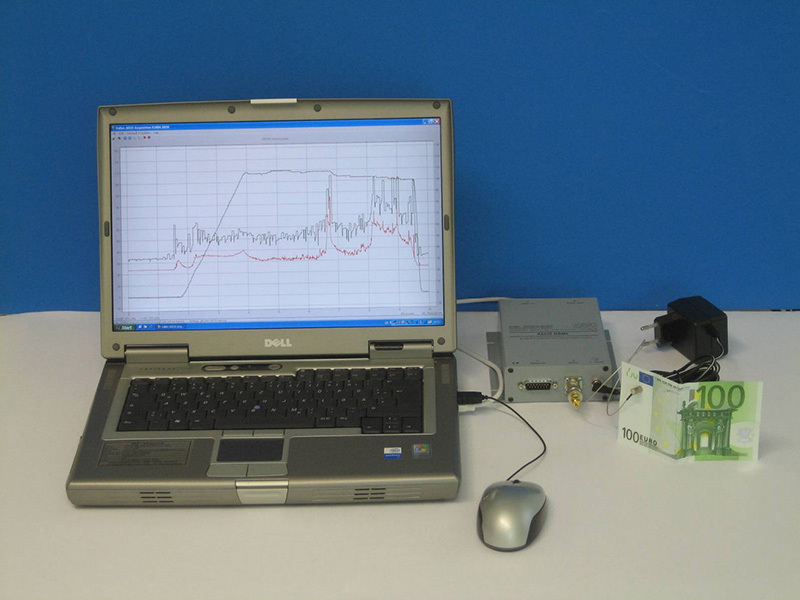 Connected to a PC using the standard USB 2.x interface the 4-channel data acquisition module samples APK (Acoustic Peak Amplitude), ASL (timely average of the logarithmized AE signal), external parameters, such as stress, strain, pressure and temperature at a programmable sampling rate and stores the data to a file. 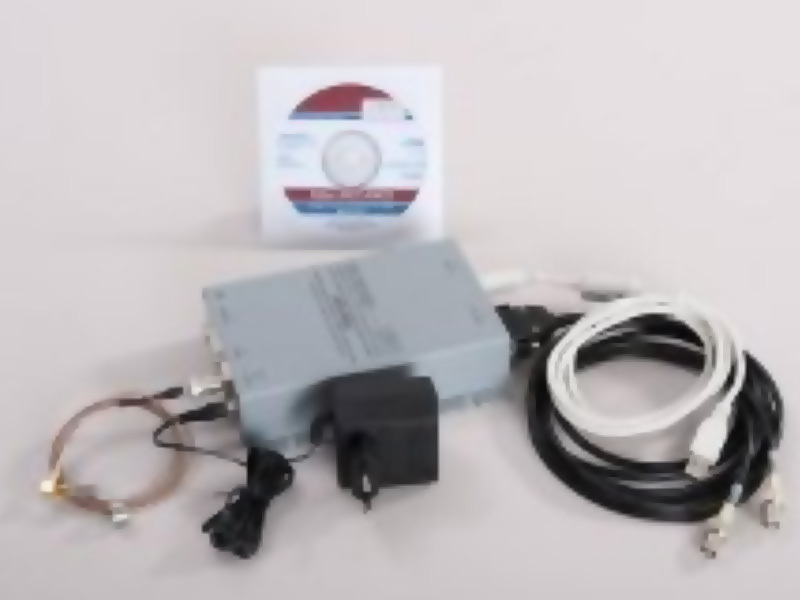 ASCO-DAQ2 comes with ready-to-use powerful AscoDaq software package for data acquisition and analysis including automated monitoring and alarm modes. The AE-Signal Conditioner ASCO-P is a low cost, single channel, analogue device that helps monitoring growth of defects in real time. The analogue output signals (APK, ASL) can be recorded by a data logger for real time or post analysis. A digital threshold crossing output pulse can be used as a real time trigger for controllers. ASCO-P converts the AE-sensor signal into a peak signal (APK) and an average signal (ASL). The peak signal is stretched to 0.5 or 51ms eanbling a slow data logging unit to record short peak amplitudes of an AE signal. The basis of the average signal is a logarithmized input signal. Additionally, a digital event output allows for external event counting.